Code 3 has brought 40-plus years of reliable service to the emergency, fire and warning markets by providing innovative and world-renowned products. TheFireStore is excited to offer several Code 3 lighting options, including some new releases. Code 3's updated model of it's highly successful front windshield light now comes in a universal version. The Universal Passenger Side Supervisor has up to two (2) warning lights that can be adjusted and aimed--no other internal lightbar has this capability. Even though it's a passenger-side unit, the light is designed to give coverage to the drivers side, too. The lighting kit includes multiple brackets to accommodate multiple vehicles. 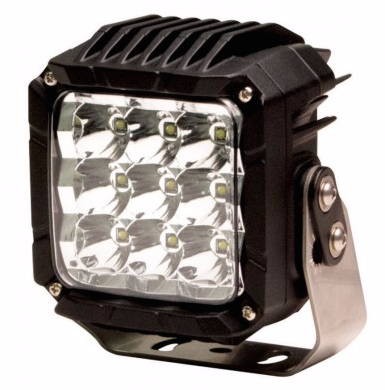 The versatile 9 LED Spot and Flood lamp has many uses. It can go from a floodlight for the hose bed to a spot light on your ladder, or it can be used for extra scene lighting on your brush truck, as these lights have many uses. It offers the latest technology and brightest white light, giving you 80,000 hours of maintenance-free light expectancy coupled with extremely low-amp draw. Featuring a great low-profile, multi-color LED light that can be used for interior or exterior mounts, the Chase is a directional LED warning light that can be programmed to flash either color individually or alternately. With 12 high-intensity LED's (6 red/6 blue), and 11 synchronized flash patterns, this is a great multi-color, bright light for your dash. Check out all of Code 3 lights on TheFireStore today. really want to get ripped and reduce all that extra fat here's how: First, in to develop muscle, you need to press xtreme no2 weights. Bodybuilding produces awesome outcomes if you use less heavy loads and appropriate type. A lot of people out there use large loads to do their exercises, and because of this, they get injured and see poor outcomes. Don't be one of those individuals, go online and discover video clips of .